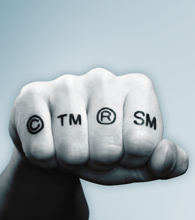 Intellectual Property – Blessing or Curse? Intellectual property is too often a stumbling block in open innovation. Once the lawyers are called in the notion of an equal business partnership can quickly become an adversarial arm-wrestle. Those with the biggest muscles will win this and corporate budgets and experience give an apparent short term advantage. However the flexible and sensitive treatment of IP, deployed at the right stages of a budding relationship, can ensure good value for both parties and a sustainable business partnership. Mark Wilson of GlaxoSmithKline stressed the importance of a deal’s context– how important is it to your business? He also outlined his company’s approach of Alliance Management. This active management of the relationship is a useful discipline for keeping open innovation on track. Harry Barazza of Unilever noted that small UK firms are half as likely as their US counterparts to use patents. He also cited some of the common problems in asymmetric collaborations as: brand abuse; IP paranoia and power imbalance. Christi Mitchell of Highbury Associates presented the SME perspective and reminded small firms that they need to protect their creations although they need to be clear about what their technology is actually worth. Most SME’s have no real idea. This is important because up to two thirds of an SME’s value may be in its IP. David White of Schlumberger reminds us to be aware of cultural difficulties in international open innovation. He also advises us to check the terms and conditions of open innovation web sites before submitting ideas as some of these are punitive. His voice of experience also cautions us to read what legal agreements actually say, not what you want them to say. Representing 100% Open, David Simoes-Brown said that different styles of open innovation need their distinctive approach to IP. ‘Jam’ programmes are more likely to lead to shared ownership whereas ‘Discover’ competitions leads to licensing arrangements for example. He noted that companies can minimise the risk of disagreement and conflict by using a process of starting at the end – envisaging and planning for a truly collaborative and sustainable business result. 1. How can IP skills assist in business negotiations? Allow for internal alignment in big companies. Actively build an internal deal team. Keep in mind that lawyers are advisors, not executives. Reach a common appreciation of the value of the deal. 2. How can parties deal with inventions that are yet to be made? Set up a quarterly review group or steering committee that is responsible for strategy and operations as part of Alliance Management. Draw up and publish a Master Collaboration Agreement and revisit quarterly. This lays out background/foreground IP, Fields of Use. To deal with Arising IP, surface it regularly. Pre-agree how who’s going to own it. 3. How can companies minimise the risk of disagreement and conflict? Regular reporting. Nobody like surprises. Use business empathy to know your partner’s goals and to be clear about yours. Remember that your reputation is more important than any IP.